The EUR/USD currency pair rebounded from the level of 38.2%, just as we expected. The bears are trying to renew a descending trend; I opened one more sell order. In the near term, the pair is expected to continue falling down towards the target area, where there are several fibo-levels at the same time. At the H1 chart we can see that the market is making a reverse downwards. Analysis of time zones indicates that the pair may reach the target area by Thursday. Later, during a local correction I’, planning to open a new short position, the third one. A correction stopped at the level of 50%. If the pair rebounds from this level, the price may start a new ascending movement. The target area is still between the levels of 61.8% (extension) and 161.8% (correction). 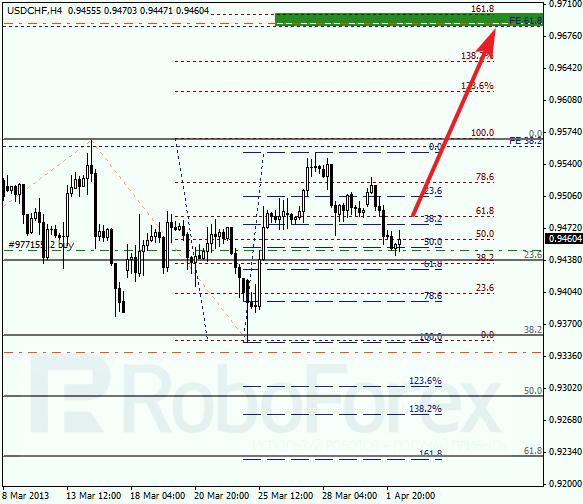 At the H1 chart we can see temporary fibo-areas; the pair may reach the target area by the end of this week. So far I’ve got only one long position opened, but during future possible correction I’m planning to add several more. The target is at the level of 0.9700.